Der Film zeigt einige beeindruckende Momente der Zusammenarbeit in den Druckwerkstätten und Ausschnitte der technischen Demonstrationen Lithografie-Vakuumverfahren und Tiefdruck-Viskositätsdruck. 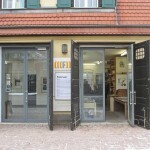 Das ist natürlich nur ein kleiner Ausschnitt von ENDEGRA-Dresden – nicht gezeigt werden Bilder von der Exkursion in die Sächsische Schweiz, der gemeinsamen Ausstellung in der Galerie EINHORN und den abendlichen Fach-Vorträgen. Sensibel und unbemerkt wurden die Szenen von Christine Elmer eingefangen. 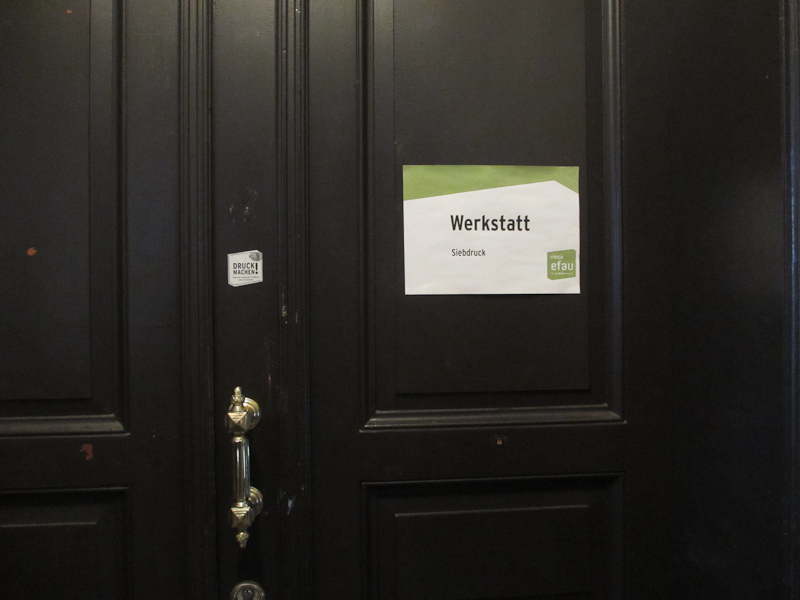 Die Auswahl beim Schnitt ist uns beiden auf Grund des umfangreichen Materials dann etwas schwer gefallen – hier sind 9 Minuten zu sehen – und ich habe den Bildern noch etwas Text beigefügt. In the rich tradition of the saxon history the graphical arts plays a great rule. 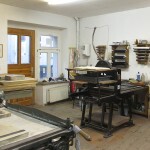 From the beginning of engravings and woodcuts since around 1500 graphical prints served as single-sheet woodcuts, flyers or book illustrations; especially because Saxony in that time was a main territory of the theological movements reformation and counter reformation. Lukas Cranach and his followers found very popular compositions into that disputes – and allways in closely contact with the printed word. So the printed artworks by that time enclosed the whole knowledge and the images about the world and god. Also in the following epochs like the enlightement in the 18th century Dresden was a center of fine arts including prints. 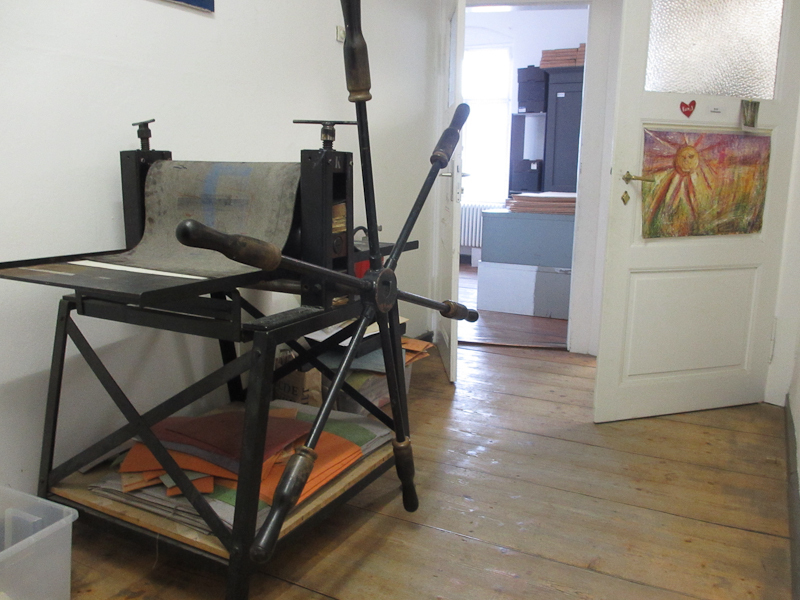 Leipzig had a lot of printing houses and for them many artists made very tastfull illustrations for the book market. 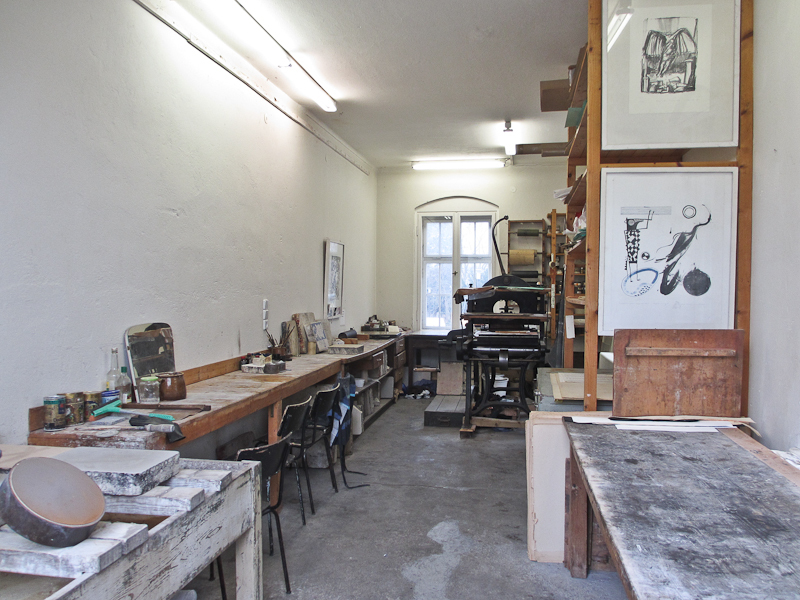 But in Dresden growes a school of gifted landscape painter who also made engravings and etchings. There is a very close relation between topographical artworks, the presentation of the natural area and thinking about world. Details of composition, figures and so on includes a special view on the world. This view is in Baroque very different to the age of sensitivity or Romantic, the highpoint of landscape painting in Saxony. It changed from a view over the whole world to the view on details and reflect the moved relation between individual and god. Famous artists like Dietricy, Adrian Zingg or Johann Christian Klengel and there followers found the environments of Dresden and the mountains “Sächsische Schweiz” as places an topics of a new kind of beauty. Caspar David Friedrich used the nature as symbol for the human soul. With a lot of impressive examples Dr. Anke Fröhlich will show the development of using woodcuts, engravings and etchings in the german art history especially in Saxony and considering the rich tradition of landscapes. 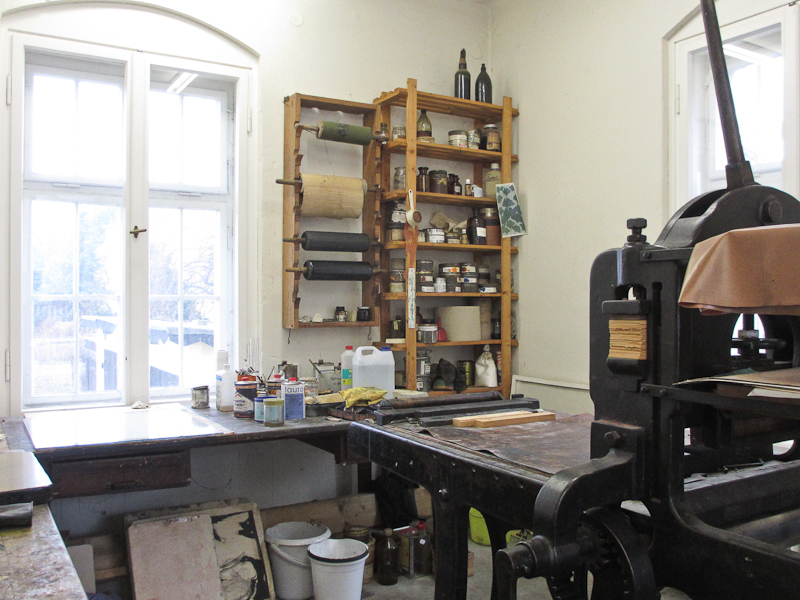 The next ENDEGRA meeting starts in the landscape of Middlegermany and Saxony with its vast traditions in art and culture, where printmaking has played a vital role since the 15th century. In the romantic era, that emanated in the 18th century, visual artists from the Dresden area started to paint the lovely, strange and always expressive and characteristic landscape along the river Elbe and in the Sächsische Schweiz. They depicted the outer landscape to use it as a metaphor for an inner landscape. Their art led to a widely spread appreciation of the landscape, as a physical place to visit and as pictures that told about our lived experiences. Topography is a scientific tool to understand conditions and preconditions of an investigated terrain. 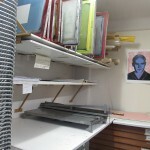 As a metaphor we can use it to get a better understanding of our situation as artists and printmakers today. 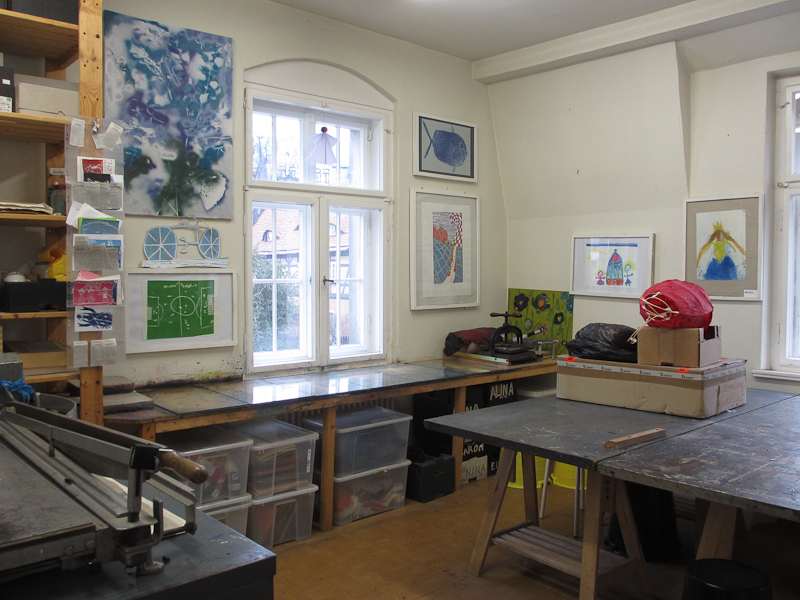 How would we describe the ”landscape” where we live and work as artists and printmakers? What maps do we need to draw to find our ways? 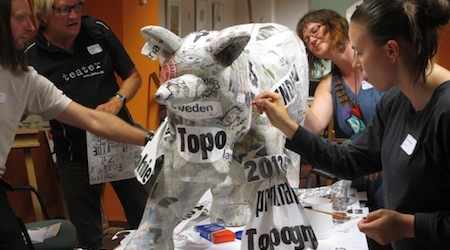 What do we need to consider in the present artistic ”ecology”? Typography, on the other hand, was always a tool to bring both intellectual and emotional knowledge. To print and to spread that knowledge we need freedom of expression and liberty of the press. We live in a society that wants to develop and deepen democracy. 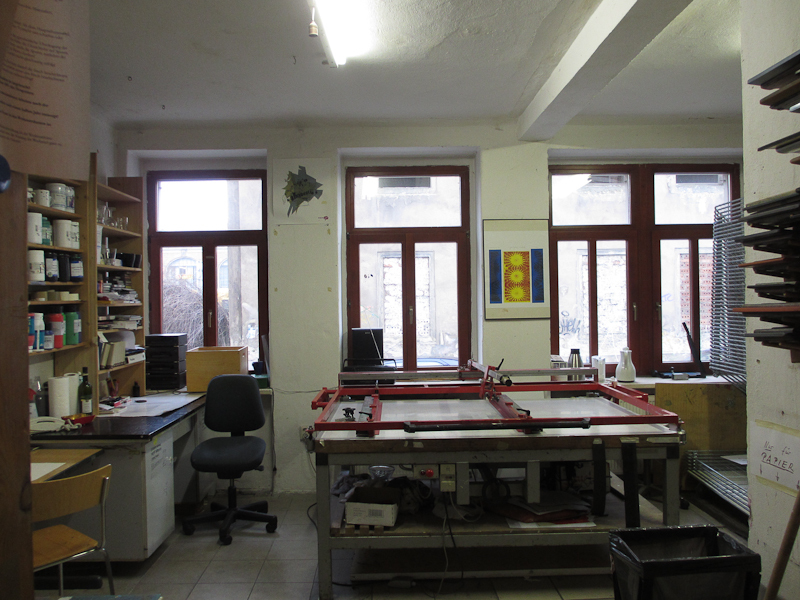 As printmakers, we have a responsibility: not just to save methods and tools as a cultural heritage, but to save preconditions for independent artistic language possibilities and expression. 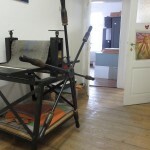 What are the preconditions of printmaking today? How can we understand, develop and defend our position as publishers of free press and independent and free art? 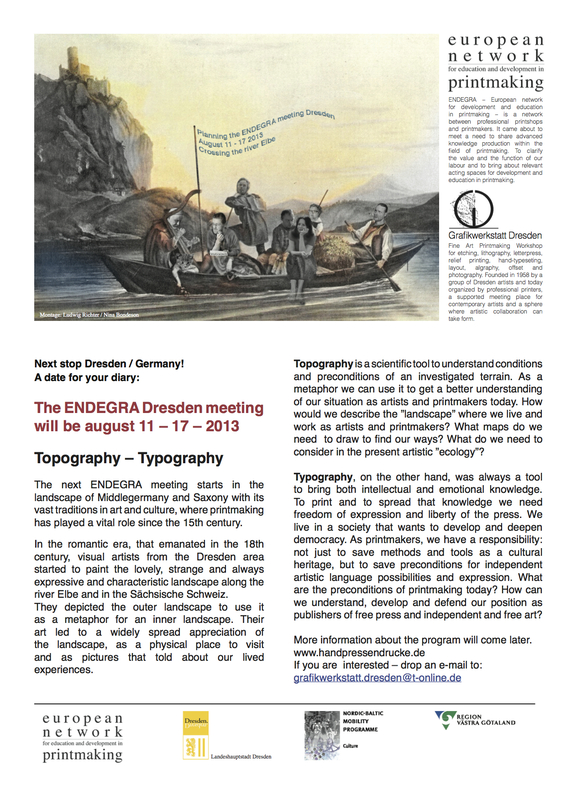 ENDEGRA – European network for development and education in printmaking – is a network between professional printshops and printmakers. 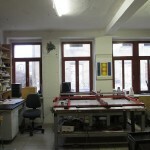 It came about to meet a need to share advanced knowledge production within the field of printmaking. 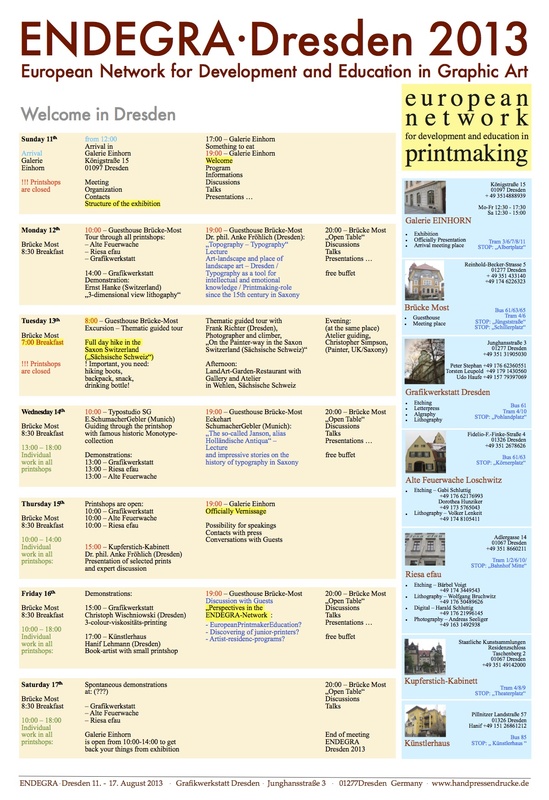 To clarify the value and the function of our labour and to bring about relevant acting spaces for development and education in printmaking. 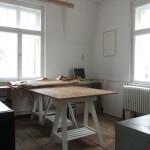 The socio-cultural work of the organisation creates a connecting line between professional and citizen-art culture. 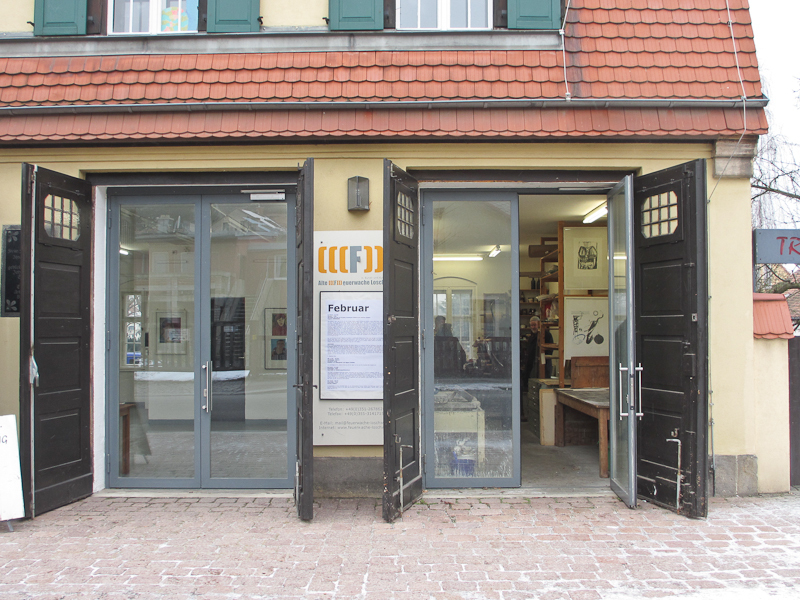 Out of the initiative of artists a focal point has been developed since 1991 in the historic building of Loschwitz´s fire station for professional and amateur artists, children and local residents. The main focus of the work is the promotion of young artists and also the promotion of cultural activities and education in general. 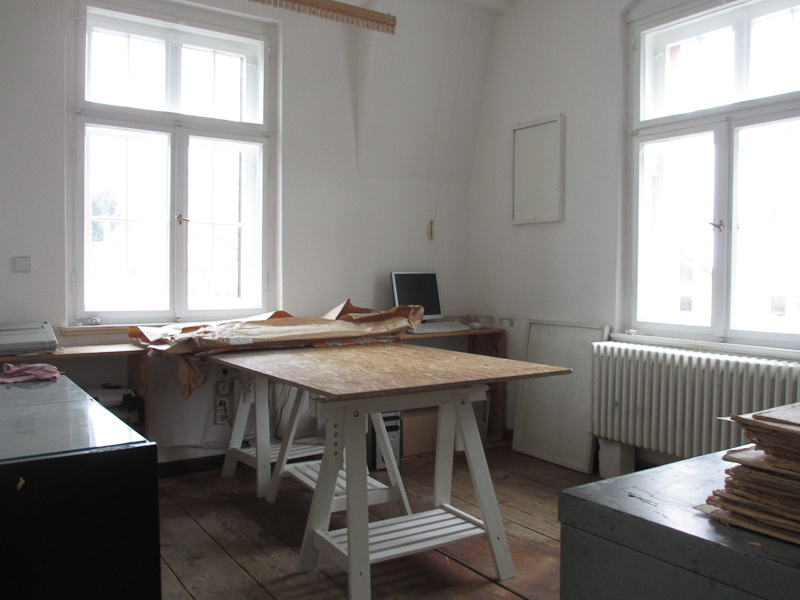 The courses offers in the various workshop spaces, the regular exhibitions of contemporary art, the performances in the gallery as well as the external projects which are organised outside of the organisation describe the offerings-pallete. 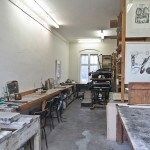 In the workshop, artists and others interested in this printing technique have the possibility to print the prepared stones or even get them printed by the workshop leader. One Press, Stones from 19×24 cm to 60×80 cm. 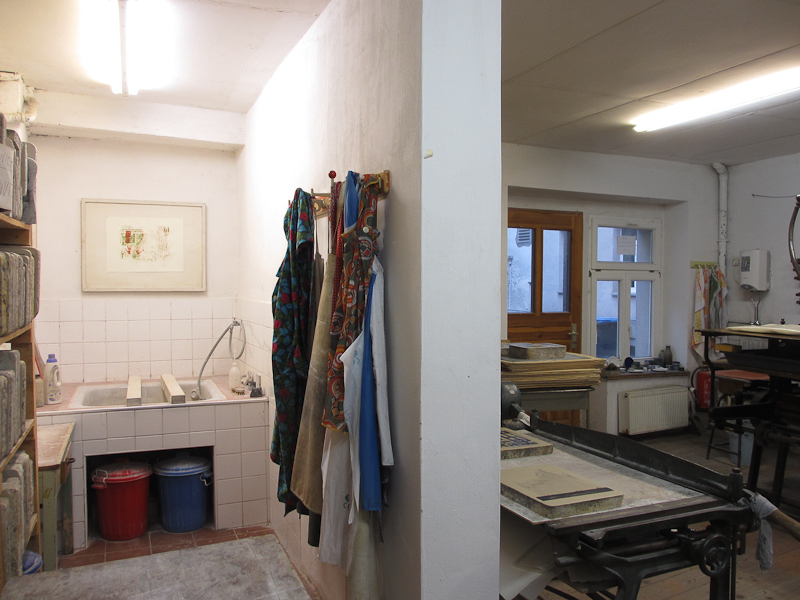 In this workshop the artists have the possibility to edit and print plates. 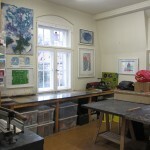 There are realised dry point, etching and soft-ground printings. 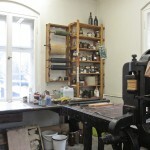 With the etching press, it is also possible to make woodblock prints. 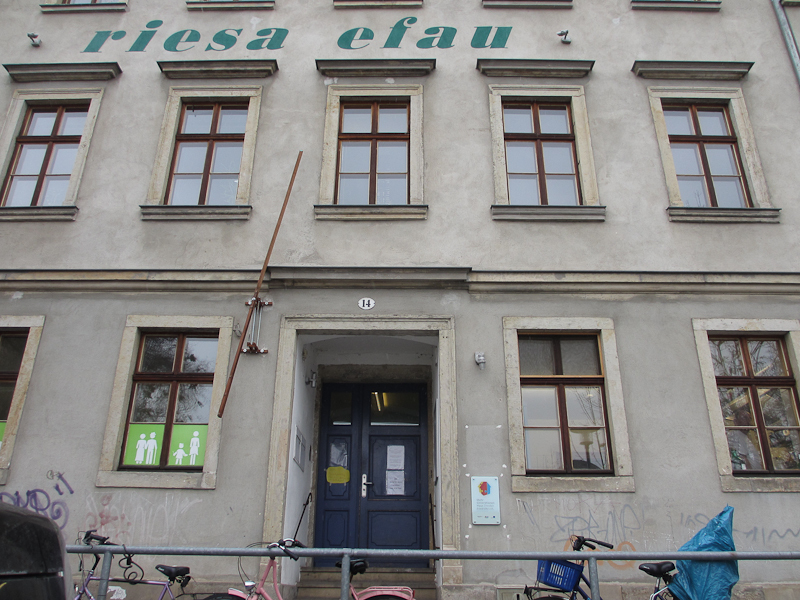 Since 1990 “riesa efau.Kultur Forum Dresden” is a place for creative engagement with issues of interaction between art and society. 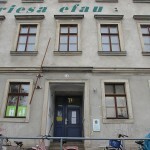 Riesa efau offers art and craft in courses and workshops at the “künstlerisches Abendstudium” (artistic evening classes), the “Internationale Sommerakademie für Bildende Kunst” (international summer academy for fine arts), in exhibitions, movies, art-projects in the city area, concerts, theater performances and readings. 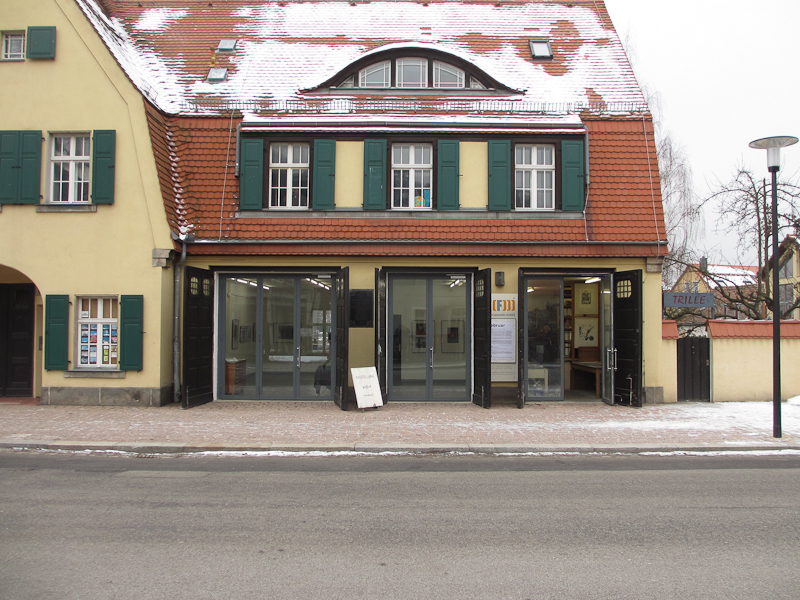 These activities are taking place in the “Motorenhalle”, the project-center for contemporary arts, the “Runde Ecke” (round corner), the “Konzertkeller” (concert-basement) and the “Galerie Adlergasse” (Galery Adlergasse). 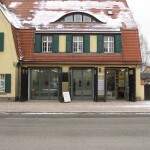 Furthermore, there is the “Mehrgenerationenhaus” (multiple-generation house) with the volunteer-management, cross-generational activities, service features for families and activities concerning civic engagement. 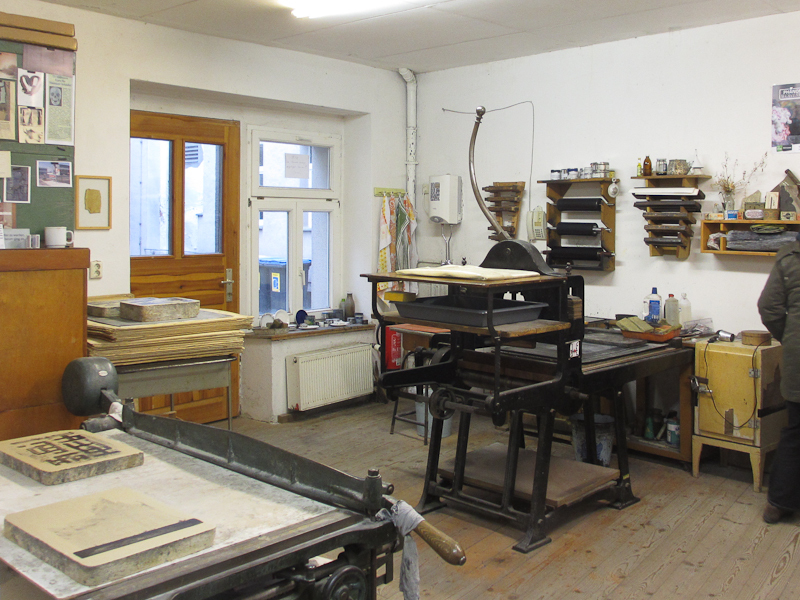 Established by Frank Herrmann in 1993, a historic lithograph-press from the 19th century and more than seventy stones in diverse dimensions are available. 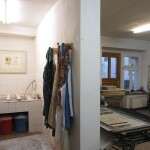 This solid basis offers the possibility to work in all lithographical techniques from the relatively easy spring- or chalk-technique to the scraping-technique. 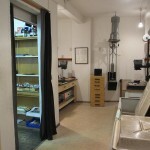 In the center of the workshop practice is the artistic work with the stone. 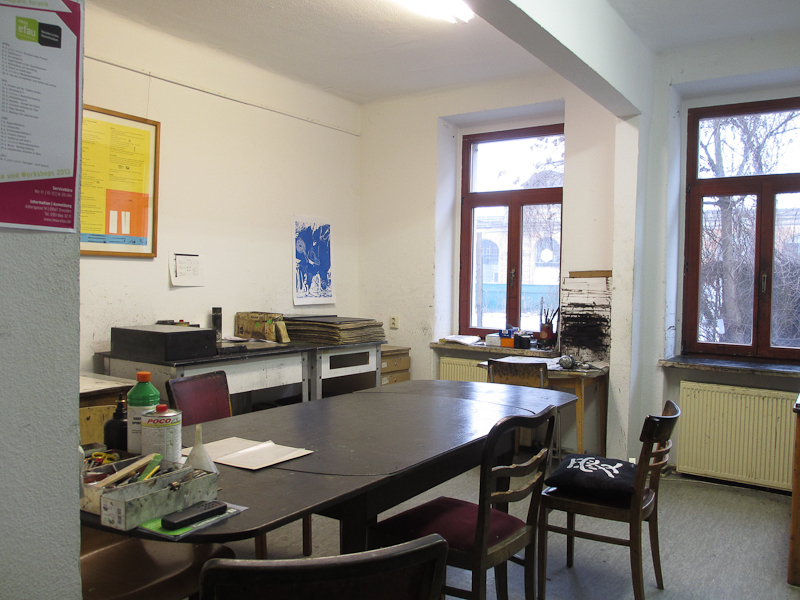 In his work since the 1980s, the workshop leader Wolfgang Bruchwitz mainly deals experimentally with lithographic print. 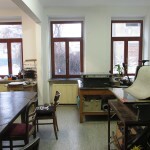 Equipped for etching as historic printing art with its diverse techniques like drypoint, aquatint and line etching. 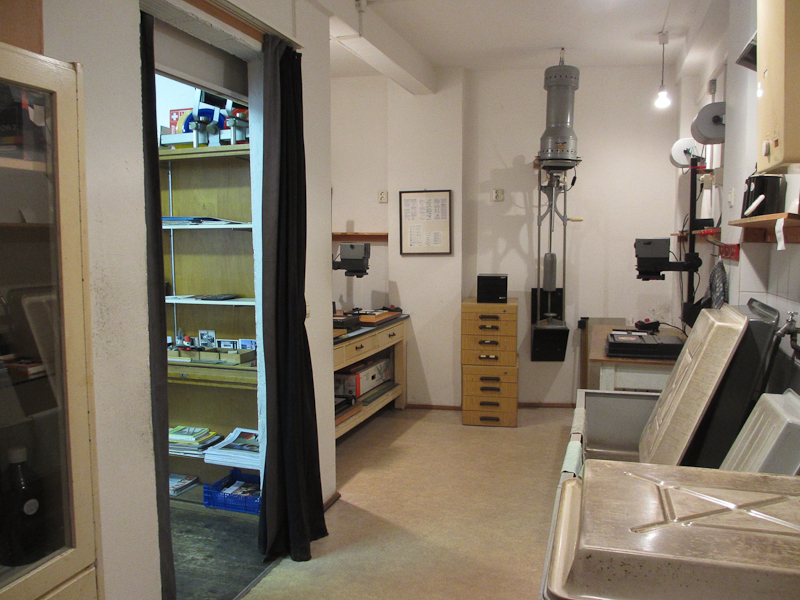 Two gravure printing presses are usable. The basics can be learned in the evening-courses. 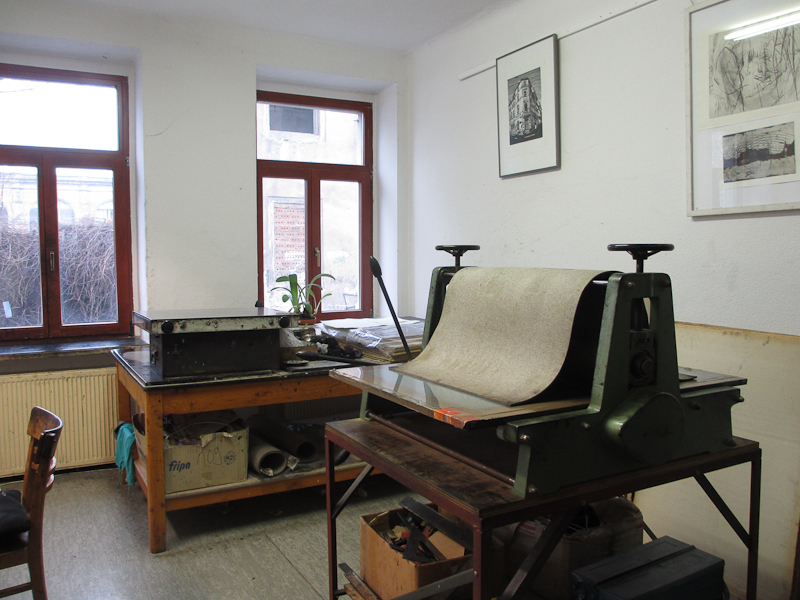 Invaluable are the exchange of experiences during the creation of the graphics, the production of the printing plate and during the printing process at the gravure printing press. 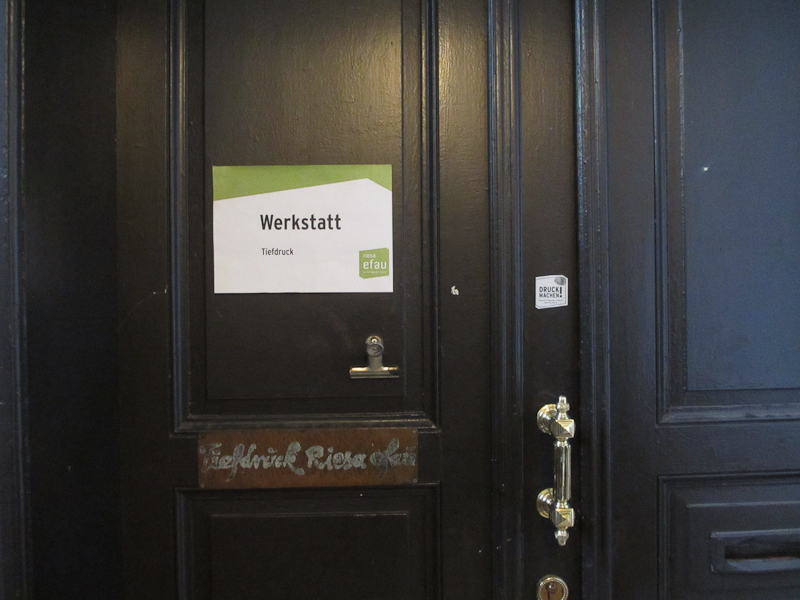 The workshop-leader Bärbel Voigt is a stage and costume designer at the HBFK and diverse saxonian stages for plays and musical theaters. 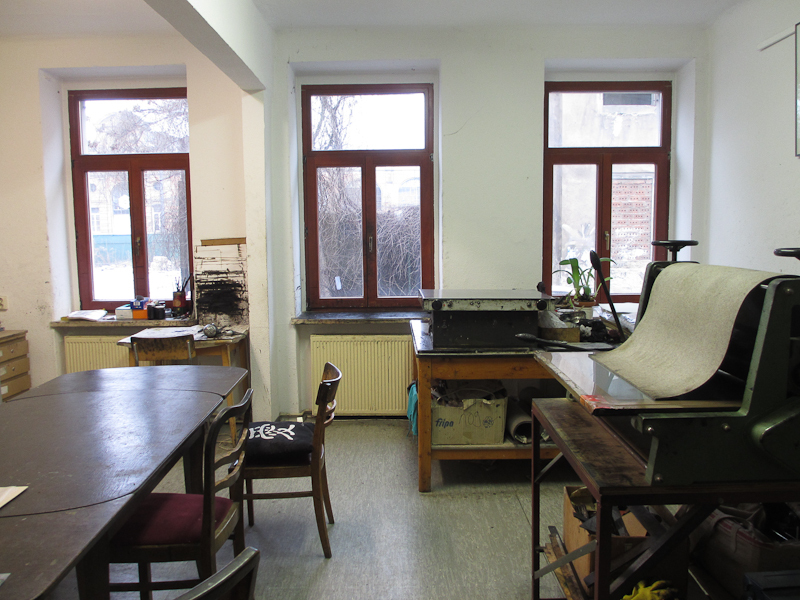 She is engaged intensively with etching in terms of the visual arts. 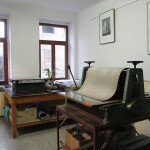 From preparing the filter and the positioning device and the operation itself to the cleaning and devarnishing of the printing plate, the participants learn every principle of this technique. Both, finely stringed filters for pressing on paper and roughly stringed filters for textile printing are available. 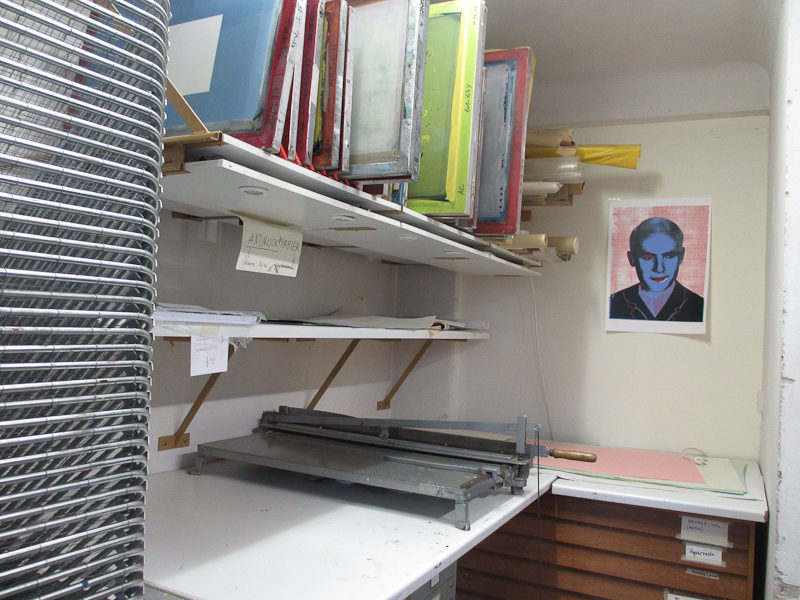 The workshop leader since 2010 is Markus Trage, self-employed screenprinter in poster design. 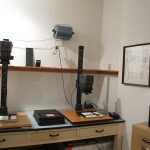 Existing since 1992, its focus lies on the practical work in the laboratory, which is specifically equipped for black and white photography, whose classic technique unfolds timeless and clear esthetics. 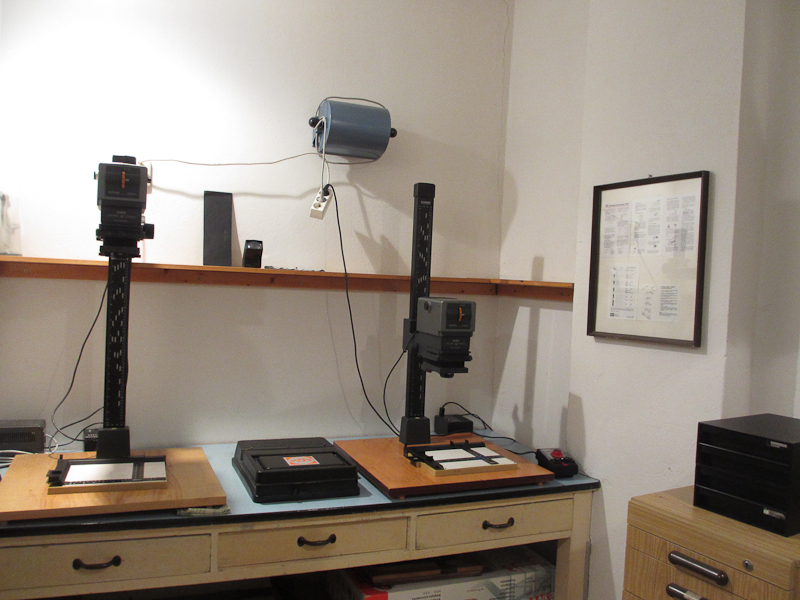 In the darkroom it is possible to enlarge negatives on three devices at the same time, so that the work can be split into three groups. 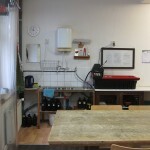 The workshop leader is a self-employed photographer who has his focuses in the areas architecture and long-term documentation. 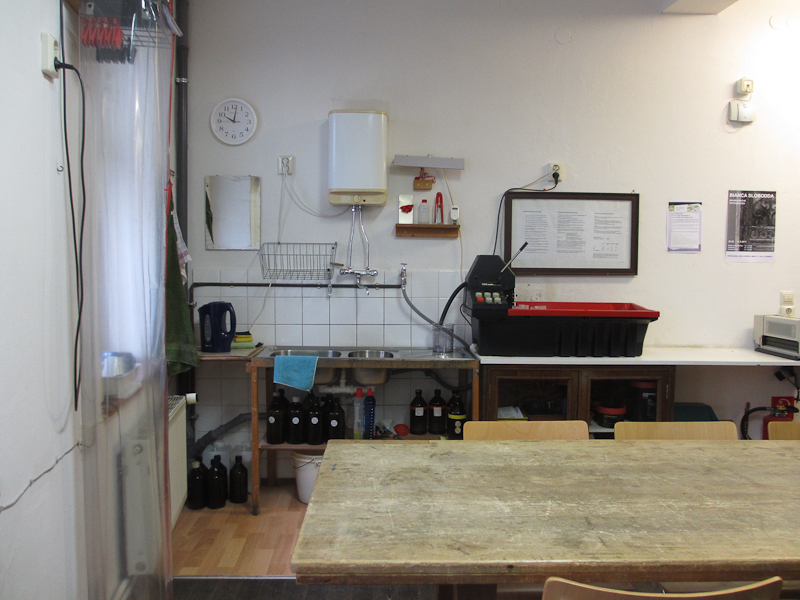 Since 1994 he has been in charge of photography courses and workshops and has lectured at the TU and HTW in Dresden. Since 2007. 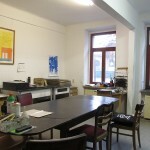 It offers nine working computer-places for the participants and one for the workshop-leader with a beamer, scanner and printer (din a3 format). Mainly open-source software for picture-editing, audio-cut, vector-graphics, DTP, 3d-animation and adobe.